Jake Keslinke [Capt], James Powell, Jacob Davies, Thomas Rowell, Louis Stephens, Matthew Spragg, Elis Jones, Zach Albone, Hrishikesh Jones & Ella Throup plus under-9s as required. UAJCA confirmed Lewis had gained the Cricketer-of-the-Year award with 334.5 quality points, 24.4 ahead of Elliot Robinson [Ciullingworth]. His season's tally was 128 runs, 13 wickets, 7 catches & 2 run-outs. Earlier Lewis also received the under-11 Yorkshire Festival Bowling Award, as selected by Manager Alistair Harrison. Earlier still James was handed the under-10 Development Team Batting Award, after nomination from Manager Ji Mukherjee. 2016 seems to be a year of trophy collection for this squad. Asylum Indoor Knock-out Champions., Festival Cup winners and now the big one!! The Sharks Captain Lewis Brown played a real skippers part with 20no and 2 wickets including the key scalp of Adam Hodge [first ball of match] as the boys went on to re-capture the Barritt-Stephenson Cup in their fourth consecutive Final. Man-of-the-match, however, was James Powell who also performed with style with 22 and 2 wickets. Oakworth have an unprecedented record in the Barritt-Stephenson Cup with 10 finals being reached, with 7 wins and 3 defeats. 2016 was the fourth year in succession the Final has been reached. Following on from club-mate Lewis Brown, Oakworth' Jake Keslinke is to be captain of the UAJCA under-10s Development team, managed by Ji Mukherjee. Jake will lead out the team for the first time against Huddersfield at Cullingworth CC on 15th May [2:00pm]. The principal target for Jake and the u10s will be the K3 Dental Cup match against Scarborough at Skipton CC on 12th June. Unsung Charlie Raby has joined Lewis Brown as a member of the UAJCA Yorkshire Festival Squad. Charlie who switched to bowling leg-spin, impressed UAJCA coaches and has made the squad. Well done to both lads. Lewis Brown is the latest Oakworth junior to gain honours this year. Lewis has been included in the West Yorkshire [Bradford-Calderdale] team in the District Competition. He will play on April 24th at Hull. Show 'em how we do it in the Worth Valley Lewis!! James Powell joins his mate Jake in the UAJCA u-10s team for 2016. Well done to both lads....sock it to 'em boys! Oakworth's magnificent voracious trophy hunters, the Sharks won all their three group games to finish top of the league table with impressive performances from a number of players with bat and ball. Raistrick were Sharks opponents in the semi final and our bowlers restricted them to a low score. Eventually the determined Sharks got home after a few run outs in middle order threatened to make a close game. 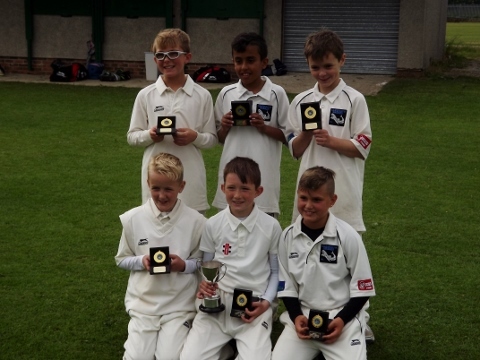 In the tournament final Sharks were up against Pennine Panthers (Rochdale District) and they batted first reaching 70-4 with excellent fielding and bowling from our boys restricting their score. In reply Oakworth Sharks were always in control with Max Harrison and Elliot Robinson getting a good start which was further consolidated by Jake Keslinke and James Powell leaving final pairing Lewis Brown and Charlie Raby to calmly see the lads home to victory. Lewis Brown- took crucial wickets and anchored the batting in all games in the last pairing. Lewis was clearly the ,man of the tournament having topped the leader boards for both batting (95 runs) and wickets (5). The young guns have gone and matched their predecessors of the last two years. They have reached the Barritt-Stephenson Cup Final on 12th July with an impressive semi-final win against Wharfedale. The Sharks batted first and posted 103 for 5 with retirement scores of 20 for skipper Subhaan Ahmed and u-9 Jake Keslinke. Lewis Brown added another 18 to rack the impressive tally. The Wharfedale lads chased hard but were behind teh rate almost from the word go. Impressive Dales batsman Tom Slater retired on 22 but was countered by Subhaan's 2 for 2, but the match was over when the 9th wicket fell at 76. Kalem Ogden made up for his silly run out with 2 for 14. Sharks had won by 27 runs with 17 balls left. Sharks will play Great Horton Church, the West Conference leaders in the Final and it's at OAKWORTH CRICKET CLUB [10:00am start]. Oakworth Sharks are of course defending the trophy lifted by Bradley Powell and Harry Hollingsworth when they won in 2014 and 2013 and this year's squad hope to match the hat-trick achieved by Cullingworth in 2010-12. 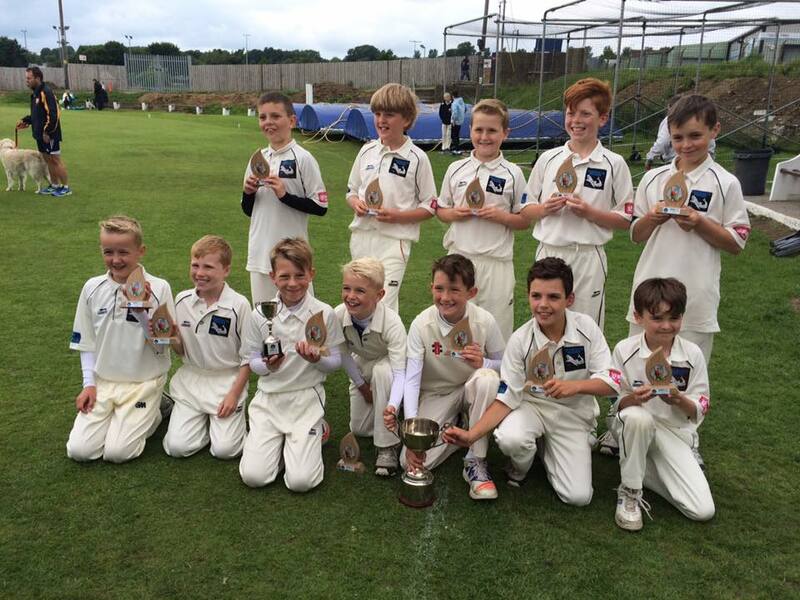 Our magnificent unedr-11s continued their attack on UAJCA trophies by capturing the under-11s Cup at the UAJCA Skipton Festival on 21st June 2015. Skipper Lewis Brown had been a little subdued in earlier rounds but with Subhaan Ahmed the pair saw off the challenge from Steeton in the well supported Final. 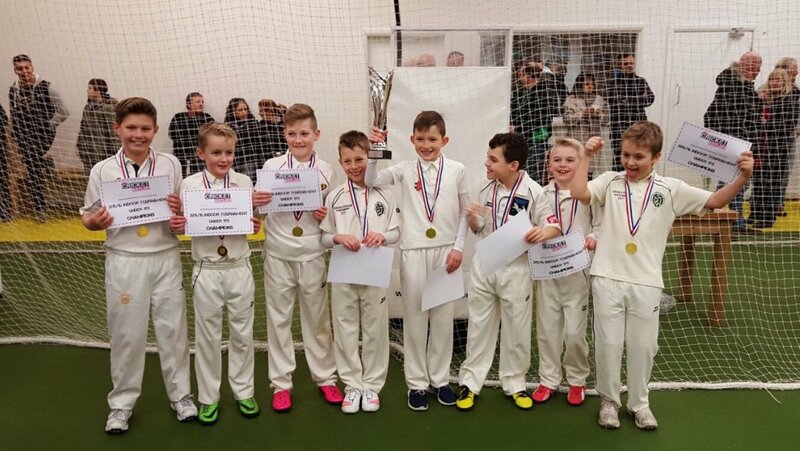 Across at 'Edgbaston' and 'Trent Bridge' pitches [Skipton CI] the under-11 groups unfolded with Early wins for Earby and Steeton [Group 1] and Oakworth and Wharfedale B [Group 2]. These four proved the strongest. In their 2nd matches Earby met Steeton and a really exciting close run match up saw Steeton emerge winners by only 4 runs [61-57]. In Group 2 another high-scoring affair settled the group outcome with Oakworth defeating Wharfedale B by 7 runs [68-61]. Cullingworth and Skipton also challenged strongly but couldn't overcome the early leaders. So Steeton would meet Oakworth in the u11 Final. The Worth Valley side batted first and high scoring from Subhaan Ahmed and Lewis Brown set them on the way to a daunting 68-0. Steeton battled in style but could not match the scoring rate to conclude their riposte at a very creditable 55-2, just 13 adrift. So Oakworth out-turned as winners having been runners-up in 2014. Lewis Brown smashed 44 no for UAJCA u-10s at Doncaster ground Wandsworth CC in a UAJCA total of 115-3. Club-mate Jake Keslinke took out 3 of the top 4 Doncaster batsmen as UAJCA u-10s crushed the home side by 64 runs. Jake returned 3 for 5 from his 3 overs. Coach Ji Mukherjee praised his bowling saying 'the swing control was stupendous!'. The 2015 Sharks were in mean, predatory mood against neighbours Cullingworth in their first round defence of the Barritt-Stephenson Cup, which the club has held for the last 2 years. A stunning bowling and fielding performance completely ripped he Cobras batting to shreds. UAJCA u-10s Captain Lewis Brown led the way with 3 for 7 and with Subhaan Ahmed 2 for 5 and Ellis Brown 2 for 2 the Cobras crumbled. Kalem Ogden set the tone with a smart catch to dismiss the dangerous Jacob Terry first ball and then he bowled Cobras Skipper Elliot Robinson. Under-9s Jake Keslinke and Thomas Rowell picked up the later wickets. These blows knocked the stuffing out of the opponents and they slumped to 28 all out. Lewis and opener Subhaan coolly knocked off the runs in 10 overs which included four 4s. Lewis Brown to Captain UAJCA under-10s. Ji Mukherjee [UAJCA u-1os manager] has included Lewis Brown, Jake Keslinke and James Powell in his squad for the 2015 season. Whilst Lewis is a an 'old hand' having represented West Yorkshire, under-9s Jake and James really impressed at the trial to win their places a year ahead as did Lewis. The 2015 UAJCA under-11 Representative team will include both Subhaan Ahmed and Kalem Ogden. Team Manager John Terry has included them in his 15-man squad. Subhaan played at under-10 level in 2014 but for Kalem it's a first experience of representative level cricket. The under-11 team will contest the Yorkshire Junior Cricket Festival [YJCF} in four matches on Sunday afternoons during the summer, following a 'warm up' match against Huddersfield at Cononley CC on Sunday 24th May. Later in the summer both will be invited to the new YCB 7-week assessment course to determine if they have progressed far enough to be considered for the County Age Group 'Pathways to Excellence' training in January 2016. Alternatively they may enrol on the UAJCA winter Elite Academy to strengthen their claims for the following year. Congratulations to all three boys!! Oakworth have an impressive record in under-11s cricket. The Sharks have three Championships plus last year shared title with Bradley. Additionally we have five times lifted the Barritt-Stephenson Cup [plus one other taken from us] and will be aiming for hat-trick this year. If any think that our glory days are over they need to seriously think again. The 2015 squad looks just as strong with Subhaan Ahmed, Lewis Brown, Klarke Williams, Kalem Ogden, Ellis Brown and Joe Snowden all looking as good as any previous bunch. Ben Hawkes, Alfie Hedges and Owen Pitt also are showing touches. Watch this space! Overnight rain had little effect at Sunny Denholme for the 13th Barritt-Stephenson Cup Final between West Conference leaders Oakworth and North Conference 2nd placed Earby. Oakworth, the Cup holders were seeking a fifth win and Earby a second. Oakworth won the toss and asked Earby to bat first. Joshua Bond and Adam Hodge faced up to the first overs from Joel Oxford and Owen West and reached a confident 11-0 after 4 overs. But a decisive intervention from 2nd change Subhaan Ahmed with three wickets in one over transformed the scene significantly. He had Hodge, a star at the Malsis Festival in June, well caught by Klarke Williams off a full toss and immediately followed with the off-stump rattle for Declan Mara. Luke Chapman saw off the hat-trick ball and the next two balls before he too was caught and bowled by the diminutive Oakworth bowler. Freddie Paxton joined skipper Bond to try and settle the innings. Their defence was sound in keeping the accurate Oakworth bowling at bay but in doing so became somewhat becalmed in the process. At 23-3 their resistance was broken by another caught & Bowled removed excellent resistance from Freddie Paxton  this time from Lewis Brown. Joshua Bond struck a boundary on his way to 11no and was soon after 'retired' by the Earby manager. With his opposite number in the pavilion, Oakworth skipper Bradley Powell got in on the act with the wicket of Lucas Robinson. Another for Oliver Bishop was followed by two further weretirements for Earby batsmen as the innings subsided to a low total. Joel Oxford took the last wicket to fall before the 20 overs came to a close on 32 for 7. Oakworth's growing band of young cricketers have another team in 2014. Our under-11s will field two teams in the UAJCA West Yorkshire Conference. The 'A' team team manager will be Steve Powell with son Bradley as captain. The 'B' team will be managed by Neil Bishop. Corey adds the SA Labels Trophy to his season's silverware haul. The Committee have awarded u-11 Corey Green their top junior trophy, the SA Labels Trophy for his magnificent 6 for 2 vs Skipton in round 1 of the Barritt-Stephenson Cup, which Oakworth went on to win. Corey's effort was adjudged the best of a host of fine performances by Oakworth juniors in 2013. Our challenge for the CartaSport West Conference title has stalled at the last hurdle. Our rained-off match with Wilsden cannot be replayed as Wilsden are unable to raise a team. According to rules the Sharks receive 1 point and therefore finish with 31 points, 2 behind Great Horton Church u11s, who take the Championship. Oakworth's magnificent Sharks have won the Barritt-Stephenson Cup at sunny Skipton, defeating Steeton u-11s in the Final. After wins over Skipton, Settle & Great Horton Church, the Sharks took the magnificent Cup with a 19-run margin over Steeton. It's our first win since the voided 2009 Final in which Oakworth defeated Denholme but were denied the Cup on a technicality. Oakworth also captured the Cup in 2003, 2005 & 2006. Captain Harry Hollingsworth was awarded the man-of-the-match trophy by the Umpires for his 2 wickets, 16 runs and quality Captaincy. Owen West reached a retirements score and there was a valuable contribution from Joel Oxford . The under-11 competition provided some entertaining cricket with the two Oakworth teams prominent in both groups. Their A team chased down a good score of 46 by Skipton. The Aire Valley Angels struggled to cope with energetic new format and found scoring difficult. Cullingworth emerged as the team to beat but they still had the Oakworth B team encounter and they had 3 wins to their credit. Meanwhile in the Pink group The Aire Valley Angels battled hard but found the new format difficult and were unable to break their duck. Cullingworth proved strong candidates to qualify whilst Oakworth B also won their first 3 matches to challenge the Bingley area side. Cullingworth took that match and qualified for the final against the Oakworth A team. It was watched by a large contingent from both clubs who witnessed some high quality cricket. Oakworth batted first and scored a solid 41 thanks to some lusty blows from Matt Corkindale and Corey Green. Both sides had adopted a policy of fielders on the boundary and it remained to be seen who could cross the whitewash the most often. For Cullingworth Joe Hall had huge expectation and he did hit one six but he and his team mates were well marshalled by accurate bowling and top-notch fielding and a direct run-out with Joel Oxford excelling in the deep. Cullingworth soon fell behind the rate and finally tallied 31 to leave Oakworth winners of the u-11 competition for the first time. The Sharks travelled all the way to Settle to settle their Barritt-Stephenson Cup quarter-final. Settle batted first and 2 wickets from Corey Green helped contain the Ribblesdale boys at 32-6. Matthew Corkindale took the key wicket of Settle Captain Oliver Kilburn for 17 and youngster Klarke Williams took a scalp too. Our Batting took just 8.3 overs to reach 33-2. Bradley Powell 13 and Owen West 11 laid the platform for Harry Hollingsworth and Corey to see us home in style and into the semi-finals. 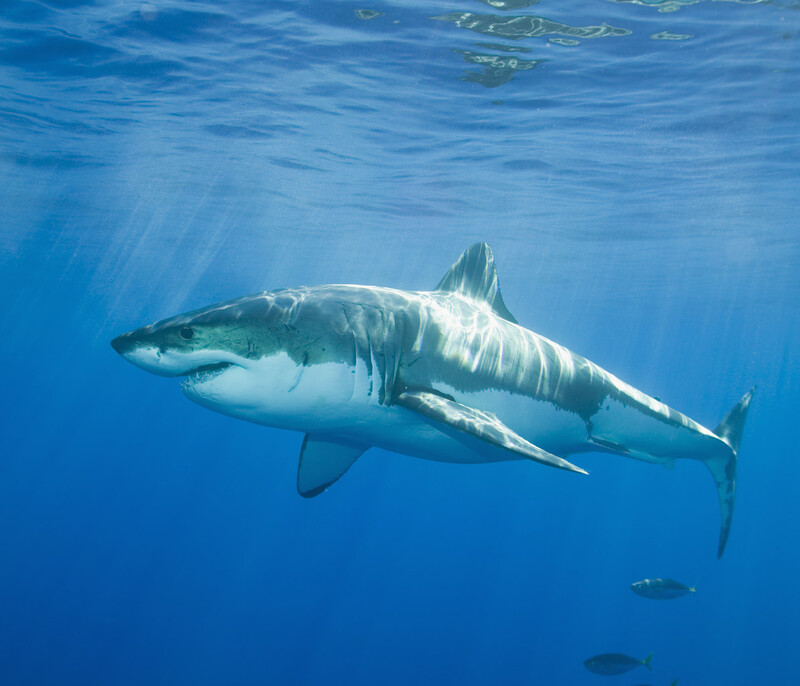 The Sharks will be away to either Great Horton Church or Cullingworth. The match is to be played by 8th July. Oakworth Sharks under-11s are to play at Headingley as part of the Yorkshire County Cricket Club Children's day. It's on Sunday 9th June from 10:00am till 2:00pm. They will take part in a 16-team Kwik-cricket tournament on the hallowed outfield turf. There will be four groups of four teams with group winners qualifying for a semi-final and then final. The tournament is an 8-a-side format but more players may attend and rotate. Team Manager Steve Powell will be organising a team soon. After the tournament the crowd will be entertained by a match between a TV Celebrity team against a Sporting Legends team. The surprise invitation comes directly from Pro Coach Academy, one of UAJC Association' sponsors. It promises to be an exciting day for children and parents alike so lets get a huge turnout of support and show the County exactly where Oakworth really is ! Conference toppers Oakworth Sharks travelled to unbeaten Great Horton Church and another marvellous match ensued. The Sharks conserved wickets but by their last pairing had lost 4 reaching 215. Skipper Harry Hollingsworth led the way 15 and partner Corey Green added 12, the two Festival picks taking the Sharks to 242-4 [74-4]. In the GHC reply Imran Abbas scored 12 set them up for a possible win. The final pair strode out at 225-3 needing 18 to win. Captain Awais Ahmed made only 2 and partner Mohammed Navaid 7 but with each also losing their wickets the final GHC post was 218-5 [58-5]. The Sharks bowling heroes were Harry Hollingsworth, Matthew Corkindale, Owen West and Oliver Bishop. The GHC defeat came 24 hours after they had defeated Wilsden by 52 runs. West Conference leaders Oakworth Sharks hosted Wilsden amidst all the cold and damp but warmed their supporters with another resounding win. Three early wickets set them on the right track with 2 for 1 from unsung Oliver Bishop and 2 for 3 from Jake Smith. The Wilsden batsmen were well contained losing 7 wickets in all with skipper Adam Wilson top-sorer on 8 in 173-7 [29-7] after 3 catches from keeper Bradley Powell. The Sharks defences were on song and a conservative start had no wickets. Thereafter the established batsmen made hay. Festival selections Harry Hollingworth 13, Corey Green 18 and Matthew Corkindale 17 were well to the fore and were joined by 17 for u-10 Bradley Powell and 10 for Chester Williams. A massive 109-1 [301-1] gave the Sharks another clear-cut win. Amidst a very mixed weather week Bradford & Bingley escaped the deluge on Friday and hosted Oakworth Sharks. The Sharks opening bowlers Jake Smith and Harry Hollingsworth gave their side a great start with 3 wickets between them. All the bowlers proved frugal and none of the B & B batsmen reached double figures, Max Rogers and Oscar Smith each making 9. With five wickets lost their 48-5 returned 208-5. An early wicket for B & B though did not herald a similar containment as five Sharks batsmen reached 11 or more, 19 going to Corey Green and 18 to Owen West; 16 to both Matthew Corkindale and Harry Hollingsworth. The impressive Sharks rattled up 114-1 for that one wicket down and a 306-1 tally. Oakworth Sharks accumulated well at home to Steeton with Harry Hollingsworth leading the way with 14 runs, his partner Corey Green also picking up 8. Matt Corkindale also chipped in a useful 8. Steeton suffered greatly with wayward bowling gifting the Sharks 27 wides in the 271 total. Harry found himself on a hat-trick but finished impressively with 2 for 1 [and that a wide]. There was wickets for Chester Williams, Corey and Matt to add to a run-out for Jake Smith. Steeton had 10 apiece for Will Luxton and Johnny Atherton but fell well short of the Sharks total on 194-6. Next week its Cullingworth at Wide Lane. The Oakworth under-11 team to play in the Upper Airedale JCA CartaSport League wth its home matches on Thursday evenings as selected by managers Neil Bishop & Steve Powell is: Harry Hollingsworth, Matthew Corkindale, Corey Green, Chester Williams, Oliver Bishop, Bradley Powell, Lucas Keslinke, Joel Oxford, Owen West & Jake Smith. In the Bradford Junior League on Sunday mornings the team will be: Joe McLaughlin, Patrick Blackler, George Walton, Adam Keenam, Connor Illingworth, Joesph Royston, Joseph Taylor, Jamie Coffey & Asa Wright. Where Holidays require the teams may be cross-matched to ensure 10 in each team. The 2012 season proved something of a baptism of fire, particularly for the bowlers. Expectations were perhaps unrealistically high and the final outcome was arguably as good as should have been possible. Nevertheless Harry Hollingsoworth and Corey Green both made the new UAJCA under-10s team and Harry played in the under-11 Yorkshire Festival in what proved a real 'near miss'. Mathew Corkindale was on the fringe of representative honours and the progress from many players should be evident this year. Jake Best, Joel Oxford and Chester Williams were not far off the mark and will now be better players for the 2012 experience. Asa Wright, Jamie Coffey, Patrick Blackler and others are still learning the trade but their prospects remain bright. Owen West, Lucas Keslinke and Oliver Bishop will find the step up from under-9 cricket a challenge but we can expect them to pass the test. With two teams in 2013 we can give everyone plenty of opportunity and hopefully a glimpse or two of silverware. The club announces that the under-9s, under-11s & under-13s will share a Presentation Night at the clubhouse on Friday 14th September 2012. Prizes will be awarded for the usual best batting, bowling, fielding and all-rounder. The Presentation Night will be start at 8:00pm prompt and players, parents and supporters should be in seats by 7:30pm. A Pizza supper will be provided by the club. The Upper Airedale Junior Cricket association Grand Presentation Night will be held on Friday 12th October; 7:30pm in the wonderful Malham Suite at the Rendezvous Hotel, Skipton. The under-9s team will receive the UAJCA Summer League Championship Trophy from Sponsor David Cooper from cricketcoachingmats.com. After an excellent season as under-9s, our young under-11s team have found the going pretty hard in the UAJCA CartaSport League for under-11s. There was high anticipation that their superb bowling record in 2011 would carry through to this season. But its a funny old game and we have improved run-scoring although far too many wickets are being lost. But the real unexpected surprise is how the bowlers have failed to reap the numbers of wickets needed. Their economy rates have been OK but hitting the timbers or taking the catches has proved a hard task. To highlight this the recent match at Wilsden was lost by 27 runs despite out-scoring the opposition by 62 to 33. No wickets taken but seven lost swung the match to Wilsden. Wickets need to be much more valued. Nevertheless our boys are a young side and in 2013 we can expect more of a challenge. 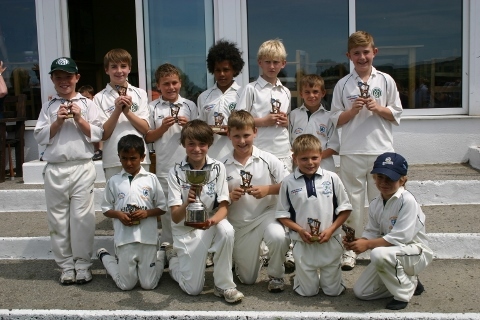 The under-11 squad for 2012 is significantly enhanced by the crop of youngsters coming up from the under 9s team who of course won the Gordon Bowers Cup in 2011. 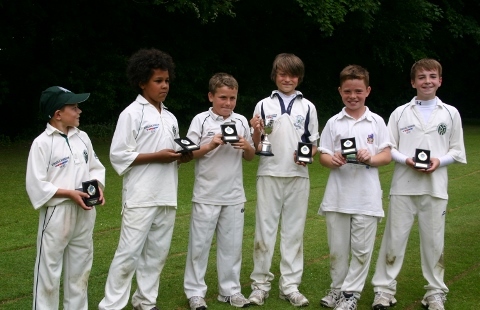 The under-11s from 2011 Tom Daniel, Lewis Spragg, Adam Hudson, Will Hudson, Michael Coffey all made progress in 2011 but the younger players will be looking to them to provide the experience and resilience in 2012. Harry Hollingsworth, Matty Corkindale, Chester Williams and Corey Green were all major contributors to the successful u-9s and they will now have to perform on a higher stage. Harry has already proved he can do that, taking the league u-11 bowling award as well as the u-9 version. Our confidence is high that further development for George Walton, Jake Best, Patrick Blackler, Matthew Greenwood, Adam Keenham, Joe McLaughton, Charlie O'Hare, Asa Wright and Daniel Zafar the West Yorkshire Conference team could be amongst the front runners. The night will commence at 7:30pm so be there for 7:0pm to get a seat. Under-11 Captain Joe Fothergill has now been invited to the District trials for West Yorkshire West. He is one of four UAJCA players invited; the others are Tom Mawer (Oxenhope), James Rogers & Billy Whitford (both Cullingworth). All at Oakworth CC wish Joel well at the trial. Then hopefully the District matches and maybe then County? Joel Fothergill will Captain the 2011 under-11 team which should benefit enormously from the 2010 experience. He will have the backing of Oliver Leeming, Dhanyaal Ahmed, Tom Daniel, Matthew Greenwood, Reece Butler, Myles Lofthouse, Will Husdon, Lewis Spragg, Michael Coffey and Charlie O'Hare and Henry Holland. Under-9s Matthew Corkindale, Harry Hollingsworth and Corey Green may also come into the reckoning. Under-11s Captain Joel Fothergill has successfully negotiated the Bradford Schools trials and will take his place in the Bradford squad. Congratulations from all at Oakworth. Now the next test is to get to the District trial and hopefully be selected for West Yorkshire West. Then who knows? County? Once again the clubhouse was packed to overflow for the 2010 Junior Presentation Night. The under-11 season was reviewed by Team Manager Alan Fothergill. The year started with only a couple of players but solid recruitment efforts flushed out a Nessfield contingent and an Oakworth contingent and Alan ended with 21 players! Only one match was won by the very inexperienced group, against Skipton. Nevertheless a great time was had by all. Alan announced the best newcomer award winner as Jordan McKnight, who sadly was in Ireland so his father stepped up to collect the gong. The batting prize as expected went to the 'experienced' Joel Fothergill (pictured) as did the All-rounder's prize. The biggest smile of the night came from Josh Vickers who was the best fielder with a never stop trying attitude. The bowling award was scheduled for Oliver Leeming but he was not present to collect the trophy. For 2011 all the boys will now what to expect and the enlarged squad splits nicely into 11 year olds and 10 year olds so both teams (u11 & u13) will be assured next year. The best performance from an u-11 was attributed to Jordan McKnight for his 21 in the Cup defeat by Cullingworth in only about his fourth match. The overall winner of the SA Labels Cup was determined as under-17 Ben Fothergill's 24 & 4 for 6 against ultimate double winners Embsay in their only defeat, to Oakworth. The 2010 Oakworth Junior Presentation Night will beheld on Friday 17th September (7:30pm) start so arrive early!! There will be prizes for batting, bowling, fielding and all-round skill. In addition the prestigious SA Labels Cup will be awarded for the best performance of the year. It will be a very young pack of Sharks in 2010. New Captain Joel Fothergill will be a quality leader but perhaps the squad lacks strength in depth to mount a serious challenge for the CartaSport title. There is enormous bowling potential from Joseph Shepherd. The remainder of the squad is relatively inexperienced with only a season or so as under-9s. Oliver Leeming, James Whitcombe and Reece Butler should also join new boy Toby Nettleton. The under-9s will supplement where required and Harry Hollingsworth, Corey Green, Tom Daniel, Matthew Corkindale and Tom Boddy should not let anyone down. As the cricket season fast approaches (only 11 weeks to go !! ), the club announces the arrangements for Winter Nets. They will again be held at Oakbank School on Sunday afternoons. For the younger age groups u-9, u-11, u-13 & u-15 Nets will commence at 5:00pm till 6:00pm. The Nets will commence Sunday February 21st for a period of 6 weeks. The weekly cost will be £3.00 per player. The batting prizes went to Tom Bradley after scoring 137 runs and being out only once, he was one of the best in the entire junior League. The bowling winner was under-9 Joel Fothergill who transferred his skills from the younger age-group without fear. The Fielding points awarded by the Umpires came out in favour of William Rankin. The u-11 all-rounder prize was won by Ben Weatherall whose performance in the Cup Final almost won us the Cup. Later, the highlight of the evening was as always the award of the SA Labels Cup for the best performance of the year. A difficult coaches verdict was that James Lee's Under 15 Cup Semi-Final 27 and 2 wickets vs Upper Wharfedale was the most deserving match-winning performance in a major event. The 19th July will go down as 'Black Sunday' for Oakworth CC as all four fixtures planned for that day were lost, sadly including two Cup Finals. Our u-11 lads though did us proud completely overturning previous league form and taking the Final to the very last ball. Our amazing 88-0 was a triumph as we had lost 10 wickets when we last played the Oxenhope boys. At last our boys believed we could win and put in a performance to be proud of. Ben was a deserved man-of-the-match and there was retirement for Dan and Will as well. And what about the bowling? We took five of their lads out in a great all round performance that really deserved a Cup at the end. Oakworth Sharks have reached the Final of the Barritt-Stephenson Cup for the seventh year out of 8. Its truly a remarkable record. Our young squad of snappers blasted the Silsden bowlers in the semi-0final with a stunning 112-1 score-lien. There were retirements for Will, Dan (back from injury) and Ben and a first ever for a revitalised Aidan. Tom Bradley added 16no towards the huge score. The Silsden lads battled gamely as we gave all our bowlers two overs and they finished on 71-3. There were wickets for Aidan, Joel and a run-out. Well done the boys! We'll be at Silsden on 19th July at 10:00 to take on Oxenhope at 'proper' cricket. Lets get it on!!! Dan Scott was really at the centre of things in The Sharks first CartaSport league match of the season. He lost his wicket to the last ball of our innings to leave a Sharks posting of 225-3. In the Earby innings he bowled with admirable pace but lost control of the ball a couple of times only to strike a couple of opponents. This placed him as the villain for some Earby parents but when the last ball was reached with Sharks trailing by 8 runs, the injudicious pull from young Josh Yates was gobbled up by the prowling Dan to tumultuous cheers from his team-mates. Great catch Dan to rescue 2 points from the jaws of defeat!! Sharks all-rounder William Rankin has been called in to the County nets at the Bradford & Bingley Centre at Headingley. His nomination by the Upper Airedale Junior Cricket League had been accepted and District manager David Cooper has asked for William to join the other 80-100 hopefuls. There is an u11 Festival at Beverley on 4th May, lets hope William makes the selection. Players can also be nominated by their Schools Association. So well done Will; lets hope you can now make the squad. The 2009 under-11s Oakworth Sharks squad will draw heavily on the 2008 Phoenix side in a season which could potentially be as successful as 2008. Will Rankin, Dan Scott, Tom Bradley, Ben Weatherall, Jack McGrogan and the 'Entertainer' Jordan Powell all performed well in 2008 and should form a high quality spearhead for this summer. Add in Sam Adams, Lewis Allsopp, Aiden Kelly, Joe Procter, Ben Smith, Aaron Blakeley and new boy Joe Claydon as well as 2008 u-9s Billy Crawshaw and Charles Hiscox and another title challenge seems inevitable. Joel Fothergill should also add pressure for a place. The Barritt-Stephenson Cup draw sees the Sharks away at new boys Cullingworth with a Skipton or Bingley Congs waiting in the quarter-finals. The Sharks have a wonderful record in this competition, only once failing to reach the Final in 7 years, winning 4 four times (inc 2008). The Annual Junior Presentation Night took place as scheduled on Friday 19th September at the club house. Two changes to team management for 2009 were announced in that Michael Davison will manage the under 15s and Simon Howell the under 13s . It is also a possibility that the club may enter two teams in the under 17s league in 2009. In a year of highly successful cricket both Graham and Simon re-told the deeds of our young squads. For indeed the achievements of the younger group, The Phoenix, essentially under 10s almost rivals that of the under 11 Sharks. Amazingly the under 10 side finished 3rd in Division Two of the CartaSport League. William Rankin, Dan Scott and Jordan Powell all acquitted themselves superbly and were given places in the Cup Final team. Jordan in fact equalled the League run scoring total (189) with George Sutcliffe of Skipton. The quality of the under-11 Sharks squad claimed the Barritt-Stephenson Cup for a fourth occasion and just lost out to Oxenhope in the League against whom we had to field weaker teams. The batting prizes went to Ben Howell and Dan Scott. The bowling winners were Ben Howell and William Rankin. Not surprisingly Ben H took the u-11 all-rounder prize and another Ben, Weatherall claimed the u-10 award. Top fielders in 2008 were Sam Nettleton and Dan Scott. Finally the Most Improved players were adjudged to have been Oliver Huck and Tom Bradley. The highlight of the evening was as always the award of the SA Labels Cup for the best performance of the year. A difficult coaches verdict was that Jack Davison's Under 13 Cup Final 56 vs Earby was a stupendous match-winning performance in a major event. The Sharks have arrived!! Our under-11 team will be taking their place in the Barritt-Stephenson Cup Final for the sixth time in 7 years. They will face either Glusburn or Denholme in the Final to be at Skipton on July 27th (10:00am). Our boys overcame a determined Earby in a tough re-played semi-final. At the time of writing the Sharks still sit at the top of the table ahead of Oxenhope on run-rate. Oakworth under-11s appeared in the first five UAJCL Barritt-Stephenson Cup Finals, winning the Trophy in 2003, 2005 & 2006. Congratulations to Sam Nettleton and Jack Keighley on their selection for the u-11s Lords Taverners Squads. Our under 11 squad has had a think about their favourite names and they've come up with Oakworth SHARKS and Oakworth PHOENIX for 2008. Much more interesting than 'A'and 'B' eh? Want to watch the fabulous cricket at Oakworth AND earn some dosh? Oaks are looking for regular First, Second and Third Team scorers for 2008. The pay is £10 per match and a free tea!! Contact any of the committee for more details. The UAJCL draw for the Barritt-Stephenson Cup has produced home ties for both our under-11 teams. The 'A' team will face fellow Division One side Keighley whilst our new 'B' team take on local friends Haworth West End. Oaks have a tremendous record in the Cup having amazingly reached the first five Finals, winning three of them. Last year was the first time Oaks failed to reach the Final and we shall be doing our utmost to get back to the Final which this year will be held at Skipton on July 20th. Should both teams progress beyond Round 1, Oaks A will be at home to either Oxenhope or Gargrave. The B team would be away at Silsden or Glusburn. Jeff Hobson was speechless for once... Having announced the 2007 prize winners for his beloved under-11 side, he was caught serving behind the bar with another call to the front. Terry and indeed all the parents weren't going to let him stand down as under-11 manager without marking the occasion. A pewter tankard should ensure he returns to the other side of the bar fairly often. Jeff has created an under-11 culture at Oakworth that produced three CartaSport League Championships and three Barritt-Stephenson Cups in six years. His coaching style was simple - DON'T GET OUT !! In 2006 his all-conquering team took both Trophies without losing a match and lost just 11 wickets in the League campaign. The side's record of reaching the first five Cup Finals will probably never be broken. This year's crop of 10 year-olds etc included his grandson George Ingham and he along with all the lads gave Jeff a rousing farewell to his team managing career. Well done Jeff, Graham and Steve will have a hard act to follow. Fifth place is a pretty good out-turn after the 2006 clean sweep. James, George and Nicholas have been amongst the age group best performers, all three in the running for league honours. The team has a number of new players following in the footsteps of our 2006 double winners but with young left-hander Oliver Huck making excellent progress the 2008 squad with Ben Howell and Jack Keighley looks set fair for another season of challenge. The under-9s have started 2007 well with Jordan Powell, Ben Weatherall and Lauren Adams showing the u-11 squad selection will be faced with lots of choices. Well the run had to come to an end some time. The 2007 Barritt-Stephenson Cup will not feature Oakworth u-11s. We bowed out of the competition in the first round against rivals Upper Wharfedale in a low scoring game despite George Ingham's 20. It's the first time we will have failed to reach the Final, having made the previous five in a row. Its a record that might stand for some time!! If 2006 was a wonder season, u-11s coach Jeff Hobson reckons 2007 could be just as good. He still has a great line up despite heavy losses to the u-13s. George Ingham will Captain the side which will include William Wine, Ben Howell, James Lee, Matthew Dilworth, Jack Cryer, Sam Proctor, Jack Keighley, Thomas Fothergill, Nicholas Sharples, and Declan McLaren. The first UAJCL CartaSport League match is at home to Silsden on Thursday 26th April. The following Thursday sees a trip to Upper Wharfedale for a third successive round 1 cup tie against Upper Wharfedale in defence of our Barritt-Stephenson Cup. As the cricket season fast approaches (only 15 weeks to go !! ), the club announces the arrangements for Winter Nets. They will again be held at Oakbank School on Sunday afternoons. For the younger age groups u-9, u-11 & u-13 Nets will commence at 4:15pm till 5:15pm. The Nets will commence Sunday February 25th for a period of 6 weeks. The weekly cost will be £2.00 per player. Here they are our happy smiling 2006 unbeaten u-11 double winners!!! Captain Jack Davison proudly holds the Under-11 Championship Trophy at the UAJCL Presentation Night in September last year. Those present were Jack Davison, Ben Howell, Matty Lee, George Ingham, William Wine, Jackson Rouse, Ben Fothergill, Lewis Wrathall, Matthew Dilworth, Jordan Bates, James Lee. They are all pictured with UAJCL President Mr Richard Smith (Glusburn). And it didn't end there!! Lewis Wrathall was the League under-11 leading runs-scorer and he also picked up the Wicket-Keeping Award ahead of Taverner choice Robbie Davidson (see below). For skipper Jack Davison, the disappointment of being out in his last innings, which cost him the Batting Prize, soon disappeared as he was awarded both the Fielding Prize (most catches) and the Under 11 Player of the Year Trophy. Both Jack and Lewis are pictured below with their awards along with Andrew Gale from Yorkshire County Cricket Club, the guest of honour. The Annual Junior Presentation Night took place as scheduled on Friday 29th September, 7:30pm at the club house. Two changes to team management for 2007 were announced. Firstly Michael Davison will assume control of the under13 XI and secondly Simon Howell will pick the reigns with the under-15s. Chris, Terry & Jeff announced this years winners as this year Junior Sponsor Jonathan Hutton of SA Labels was not able to be present. In a year of 'perfection' Jeff was beside himself to proclaim the quality of the young under-11 squad which had claimed the League and Cup double for a second occasion in five years. The batting prize was a toughly fought out encounter with no les than four lads going through their year without being out. The winner was Ben Fothergill with 90 runs. With the ball Captain Jack Davison emerged the recipient with 18 wickets at an astounding average of 3.11. Wicket keeper and League top scorer Lewis Wrathall took the fielding prize for 2006. With 131 runs and 12 league wickets Jack Davison added the all-rounders trophy to his UAJCL Cricketer of the Year award. Finally the most improved went to the diminutive Matty Lee for san excellent display. The highlight of the evening was as always the award of the SA Labels Cup for the best performance of the year. A unanimous coaches verdict was that Ben Wine's 6-12 vs Embsay was, as a club record for u15s and a league record for the season, the best performance.